Many people say that there are basically two types of people in terms of sleep- the majority type i.e Early Birds and the minority type(believe me the margin is very less) Night Owls . Before I get into what I want to say, a little intro about early birds and night owls would be helpful for people like me. 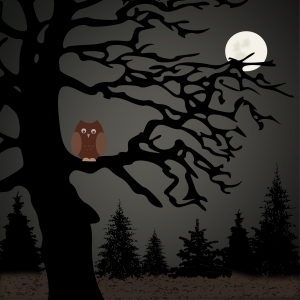 An early bird is a person who gets up early in the morning and sleeps early in the night and on the other end of the spectrum is the night owl who sleeps late at night (you can call it morning!!) and may or may not wake up until it strikes 10 or 11 o clock (and sometimes it can go beyond afternoon). Everyone of us was a type one sleeper until a certain point i.e we were forced to get up early in the morning, get ready , have breakfast and go to school reluctantly . But not until college starts the night owl in us gets awakened ,the complete internal clock cycles start to change in the body and insomnia kicks into each one of us . At this stage many think that they are night owls and continue to be awake at night even though there is no useful/important task to be done , and one fine day when the family members admonish him/her for staying late at night , they simply declare themselves a Night Owl(a highly stylish word) and continue to follow the unhealthy sleeping habits for years later on .I myself thought I was a night owl (and I am still not able to come out of that vicious cycle) because of my engineering before-the-exam study habits but the truth is I found it better to be an early to bed and early to rise type guy than an improper timing night owl ,it is wonderful to sleep by 10 :30 and get up at 5 or 6 in the morning and look at the sunrise and listen to the chirping of birds than watching some James bond or Liam Neeson movies at night (not criticizing anybody and the truth is I had done the same and I am terrific fan of both of them and thoroughly enjoy watching ’em ). Nice message to Night Owls but they are habituated to that living, they must strive hard to become an early bird. probably i think Iam a third kind,I love sleepng early at night but….my eyes dont like to open early….thanks for the article! !